Did you know that it is important to sit properly at the piano? We will talk about how to place the bench at the correct distance and height from the piano, and also what the most healthy posture is. You will also learn the correct way to shape your hands, fingers, and even how to move your arms, in order to make different types of sound on the piano. Throughout your piano lessons, your instructor will often remind you of these healthy technique habits. Technique is an essential element in playing piano fluidly and with expertise. In order to learn how to read music, it is necessary to know some basic music theory. The phrase “music theory” sounds a little scary at first. All it is, is understanding the structure of music. It is similar to learning a new language. Your piano teacher will make sure to explain each concept to you in a way that will be easy to understand. It’s not necessary to know how to read everything in music right away, but you will start with the basics at your first piano lesson! Once you have learned some of these basic concepts, you can learn a simple song or two. It’s never too early to start learning to sight read music. Remember to be patient with yourself, as this is a new thing for you! Part of learning any musical instrument is developing a strong practice regiment. If you would like to master the piano, it is necessary to practice daily. Your teacher will give you practice tips and set expectations for this from the beginning. As soon as you leave your first piano lesson, you must plan for daily practice! 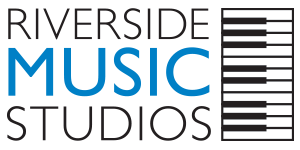 At Riverside Music Studios, we look forward to helping you being your journey through piano lessons in NYC. Please let us know if you have any questions along the way, and we are happy to answer them!